Built of Hopes and Dreams . . .
St. Francis of Assisi Catholic School received a wonderful challenge from a very special and anonymous benefactor in 2014. To offer a Catholic school education to as many families as possible, and to help strengthen enrollment at our school, our benefactor pledged a dollar for dollar match, up to $40,000 per year, for 8 consecutive years, on behalf of tuition assistance for first-time school families. Gifts to this challenge can be made in any amount, for any period of time. That said, we encourage you to make a multi-year commitment to our Hopes and Dreams Fund. 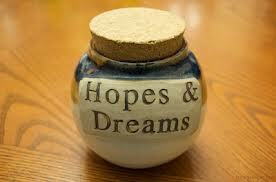 You can also contribute to our Hopes and Dreams Fund as a sustaining donor via a monthly electronic offering. For more information about our Hopes and Dreams Fund and how you can help, please contact the Development Office at development@stfrancisa2.org or 734-821-2208. Thank you.